The Ladders è una Beatles tribute band formata nel 2010 da musicisti professionisti con esperienza in tutta Italia e all'estero. Nel corso degli anni, e con centinaia di concerti, la band ha avuto l’occasione esibirsi in numerose manifestazioni e luoghi storici beatlesiani come il Salso Meets The Beatles Festival di Salsomaggiore Terme come headliner; il Parco dei Principi Grand Hotel & Spa di Roma come protagonisti della “Fab Four Night” del 2017, del “Capodanno con i Beatles” 2019 e ospiti nella stessa camera data ai Beatles durante il loro unico tour nella Capitale nel 1965; sempre a Roma sono spesso ospiti del Geronimo’s Pub; hanno suonato per la rassegna Coverland di Porto San Giorgio; fino ad approdare al leggendario Cavern Club di Liverpool! Con le numerose video-cover nel loro canale Youtube, i Ladders hanno riscontrato un buon seguito anche online con follower da ogni parte del mondo ed hanno occupato un'intera puntata della trasmissione “Beatles Forever” sulla stazione olandese Radio Parkstad. Il video più cliccato (Strawberry Fields Forever, con oltre 120.000 visualizzazioni) è stato oggetto di tesine scolastiche ed è stato scelto dalla trasmissione inglese “NextUp Comedy” per il comico Ed Aczel. 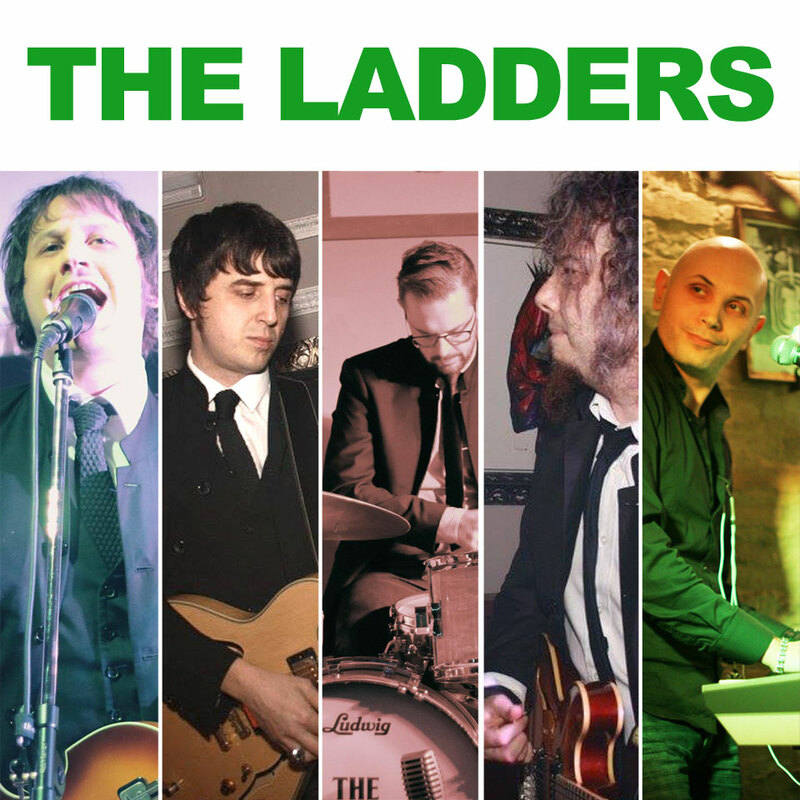 The Ladders is a Beatles tribute band formed in 2010 by professional musicians with experience throughout Italy and abroad. Over the years, and hundreds of concerts, the band had the opportunity to perform in numerous Beatles events and historical places like the Salso Meets The Beatles Festival in Salsomaggiore Terme as headliner; at the Parco dei Principi Grand Hotel & Spa in Rome as special guests of the “Fab Four Night” in 2017, for the “New Year's Eve with the Beatles” 2019 and hosted in the same room given to the Beatles during their only tour in the Italian capital in 1965; also the Geronimo's Pub in Rome use to have them as guests; they played at Coverland festival in Porto San Giorgio; up to the legendary Cavern Club in Liverpool! The Ladders also produced many video-covers on Youtube, and their channel is gaining followers worldwide. Some videos has been chosen for an entire episode of the “Beatles Forever” broadcast on the Dutch Radio Station Radio Parkstad. Their most popular video (Strawberry Fields Forever, with over 120.000 views) has been used for some school projects and has also been chosen by the English “NextUp Comedy” for the show of the comedian Ed Aczel.